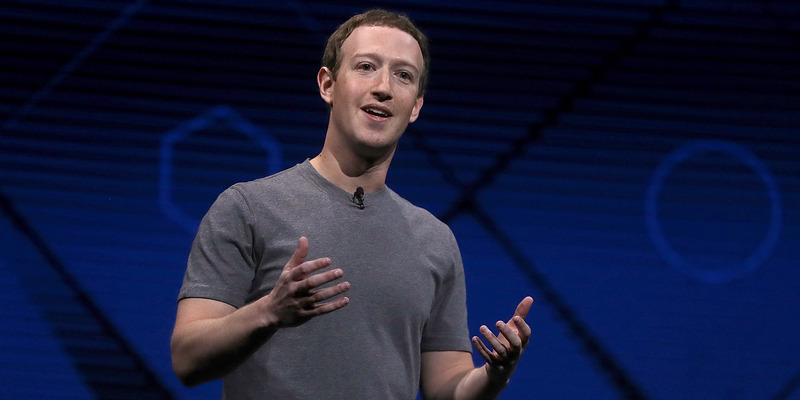 Senators are still calling for Facebook CEO Mark Zuckerberg to come to Congress and testify about how Facebook will protect its users’ data. The scandal centres on the British data company Cambridge Analytica, which has ties to Donald Trump’s 2016 presidential campaign and which illicitly obtained information from as many as 50 million Facebook profiles by abusing Facebook’s data-sharing features. Though the story broke over the weekend, Zuckerberg did not respond until Wednesday. Other senators are clearly thinking similarly to Markey, too. “The steps Facebook has laid out to protect its users are a start but Zuckerberg still needs to come testify,” tweeted Sen. Klobuchar, a democrat from Minnesota. And, as Axios reports, Sen. Richard Blumenthal (D-CT) called Zuckerberg’s statement a “very superficial mea culpa” in a radio interview. Even before Zuckerberg’s statement, some senators had already demanded earlier this week that Zuckerberg himself come to the Hill and talk to them under oath. This included Sen. Kombuchar, as well as Sen. John Kennedy (R-LA) and Sen. Ron Wyden (D-OR). The revelations of how CA obtained Facebook data has already sparked multiple investigations, amid renewed calls to regulate Facebook and possibly companies like it. The Federal Trade Commission is now investigating the matter, as are the attorney generals in New York and Massachusetts.Investigations have also been launched in Europe. This isn’t the first time Facebook has been called to Capitol Hill over how its platform was used in the 2016 election, either. Last year, attorneys from Facebook, Google, and Twitter testified to Congress on misinformation and the fake news problem. Following their testimony, Facebook and Twitter both admitted then that Russian-connected disinformation was a bigger problem on their platforms than they had initially reported. Now, in the matter of the Cambridge Analytica scandal, Facebook will have to contend with the fact that most lawmakers don’t think that the social network is really committed to change. As for consumers: You should know that, although the #deletefacebook hashtag has been trending as these stories broke, deleting Facebook doesn’t automatically stop the social network from storing your data.